September 30, 2011 - Wayne County Airport Authority (WCAA) will significantly realign its business operations and aggressively pursue new revenue sources as part of an intensive plan to reduce expenses by $20 million over the next 12 to 15 months. 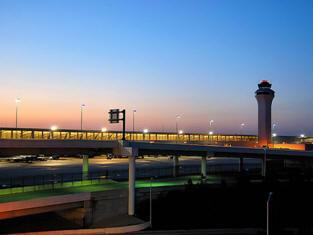 The Authority governs operations at Detroit Metropolitan (DTW) and Willow Run (YIP) Airports. The Authority’s Board on Thursday approved a $292 million budget for fiscal year 2012 that will include the strategic reorganization of staffing resources, wage and benefit changes for employees, and the exploration of shared services and partnerships with other governmental entities. “It’s imperative that we re-engineer Detroit Metro and Willow Run Airports so that they become the most competitive in North America,” said Turkia Awada Mullin, WCAA chief executive officer. “Our region has made major investments in our world-class airport facilities and we must operate them efficiently to maximize the economic benefits that they generate for southeast Michigan.” Mullin said that the Authority’s cost-cutting measures would in no way impact the safety and security of passengers or employees. The economic downturn throughout Michigan over the past decade has contributed to the Authority’s financial pressures, as Detroit Metro Airport served four million fewer passengers than it did at its peak in 2005. In addition, the Authority carries high debt loads on the McNamara and North terminals, both of which opened within the last nine years and were designed to accommodate projected traffic growth that has yet to materialize. “I commend my fellow board members for being so engaged and transparent and for initiating bold cost-cutting measures and efficiencies,” said WCAA Board Chair Renee Pipis Axt. “We believe these moves are necessary and will position our airports and our region strongly for future growth. Mullin said there are many opportunities for the Authority to realize savings and efficiencies through cross-training and consolidation of staff and also by working together with Wayne County government and local municipalities in the areas of human resources, information technology, dispatch, homeland security and emergency management. In addition, Mullin said that the Authority must make moves to generate new sources of non-airline revenue and improve customer amenities. “We will be adding free airport Wi-Fi and introducing new approaches to concessions where consumers may soon be able to download applications and use their Smart phones to have their food and beverage selections delivered to their gates,” she said. Established in 2002 by the Michigan State Legislature, Wayne County Airport Authority is an independent agency responsible for the management and operation of Detroit Metropolitan Airport and Willow Run Airport, which together comprise Michigan’s largest airport system and one of the world’s busiest air transportation hubs. Studies conducted by the University of Michigan-Dearborn in 2005 and 2007 found that the two airports contribute an estimated $7.8 billion to the state economy each year and are responsible for as many as 72,000 Michigan jobs.